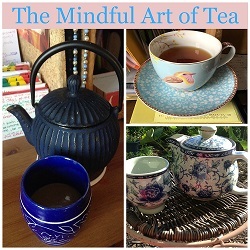 In this gathering, we combine the simple act of drinking tea with presence practices to develop mindfulness of body, heart, mind, and soul. We grow awareness of ourselves, each other, and the tea we are engaged with to land more fully in the present moment. Both caffeinated and non-caffeinated tea will be available.